Greetings from UUEstrie, a liberal spiritual community that first gathered in the village of North Hatley back in 1886, as the First Universalist Church of North Hatley. Join us Sundays at 10:30am for our weekly service led either by our minister Rev. Carole Martignacco or a guest lecturer. Today’s service (Feb 24, 2019) has been cancelled due to dangerous road conditions. Please stay warm and safe! “One word, four voices” is a weekly newspaper column by four interfaith clergy. Every Friday we feature one word in the local Sherbrooke Record from a list of over three hundred, with a brief reflection by four different writers. The idea originated a few years back with funding from CUC Sharing Our Faith and Northern Lights grants for community outreach and interfaith collaboration. When a weekly religion column ended in our local paper, Reverend Carole seized the moment and formed a writing team with three clergy colleagues to fill the space. The “word of the week has become a popular topic of conversation at interfaith and social gatherings. As a member of an interfaith coalition of about a dozen area churches who take turns serving free Friday night suppers to area college and university students. Each semester we take our turn and appear at one of the churches in Lennoxville with kettles and slow cookers filled to the brim. 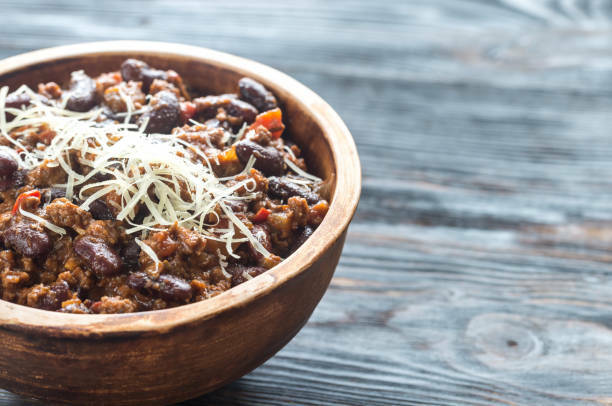 UU Estrie has been dubbed “the chili church” for our familiar menu of veggie and meat chili with toppings, corn bread – gluten free and otherwise, crudités and dessert. Each time our team of 10 to 12 volunteers may serve from 40 to 80 very hungry and grateful students. What a gift to sit and share a meal, exchange stories and learn about their studies. We feel so blessed and energized by the connections we make. At the heart of our faith is a dedication to encourage each other in our spiritual growth and development. With other Canadian congregations, UU Estrie follows a modified version of theme-based ministry, with at least one monthly service on the designated theme. 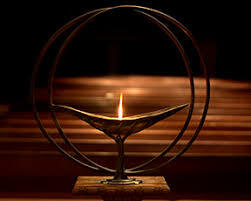 Spirit of Life is a small group that meets for an evening ritual of readings and personal reflection on each month’s worship theme. We meet for two hours, attendance ranges between 6 and 10, and have over several years continue to hone our skills in active listening and mutual support. Our themes this past year have included some profound explorations on Interdependence, Risk, Connection, Sanctuary, Transformation, Listening, Memory and Mystery. 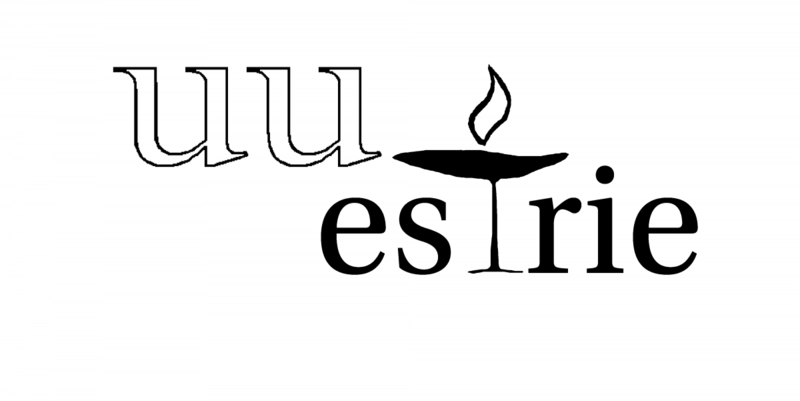 So we are undertaking collaborative research to assemble, edit and translate a collection of Unitarian Universalist writings and music in French, and create a 100-page English-French booklet of Unitarian-Universalist readings and songs. Our working title for the book is Rendezvous spirituel. In addition to substantial volunteer in-kind contributions, we received three small grants to support this project: $924 from the New York State Convention of Universalists (for printing), $1,200 from the West Trust Fund and $1,831 From the Vermont-Quebec Universalist-Unitarian Convention (for other costs). We are very grateful for this help. A work team comprised of Gabriella Brand, Hélène Cunningham, Reine Gagnon, Rachel Garber, John Mackley and Rev. 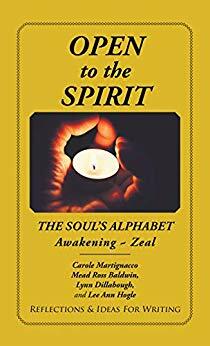 Carole Martignacco have been meeting regularly and foresee finishing the book in the summer of 2019. We began by contacting several groups and individuals interested in working internationally to share resources in French. We received a wealth of materials in French, and selected and organized texts to be included in the book. Some texts are being translated, and others edited as necessary. We have reached the point where we are refining the potential content of the book and beginning the work of obtaining permissions, where applicable, to reprint or translate copyrighted materials. We anticipate completing the editorial, design and publishing phases by the summer of 2019. – Rachel Garber, secretary of the Rendezvous spirituel work group, 2018-12. On December 8, members and friends had another letter-writing session – this time, writing cards and letters of encouragement to the human rights defenders themselves. All in time to join the avalanche of mail from other Write for Rights groups around the world, an impressive show of support for the defenders, and a strong message that thousands of world citizens are watching, and helping defend the rights of the human rights defenders themselves. How to end one’s life well depends on a number of things. Five key factors are featured in a series of weekly workshops called “Happy Endings” coming to Magog and North Hatley, starting next week. The two series are organized by UUEstrie, as was a pilot series last year in Lennoxville. The workshops in Magog are in partnership with the Memphremagog Community Learning Centre, and are on Wednesdays. The ones in North Hatley are on Fridays. In both places, the sessions are from 10 a.m. to noon, and all are in English. They are free of charge, with a donation of $2 suggested for refreshments. All are welcome. 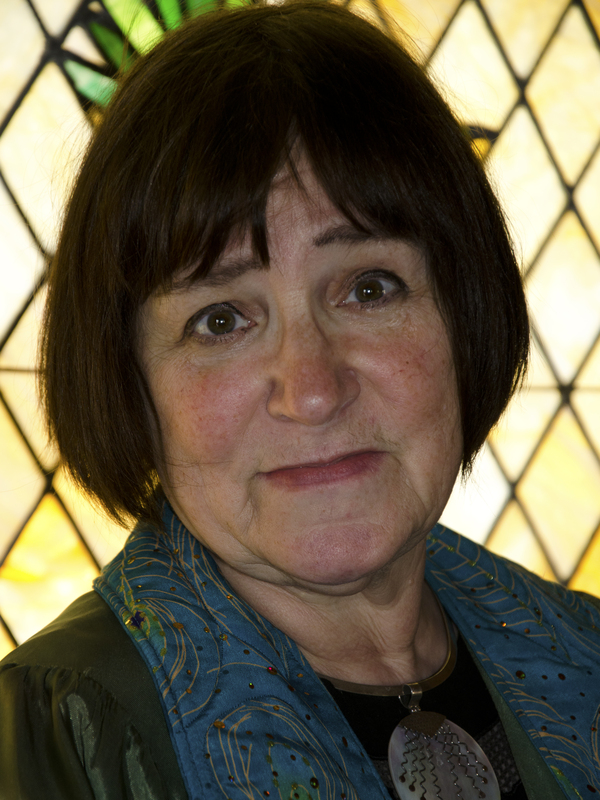 “Last Words: How to plan your own memorial or celebration of life” is a workshop by Rev. Martignacco herself. She has developed an expertise in personalized ceremonies, and she gives participants a guide to designing memorials that leave a legacy of personal values. Last Words is the first session in Magog, on Wednesday, April 27, and the second topic in North Hatley, on Friday, May 6. “Wills, Living Wills, and End-of-Life Legal issues” is the first topic in North Hatley, on Friday, April 29, and the second one in Magog, on Wednesday, May 4. The speaker is Me. 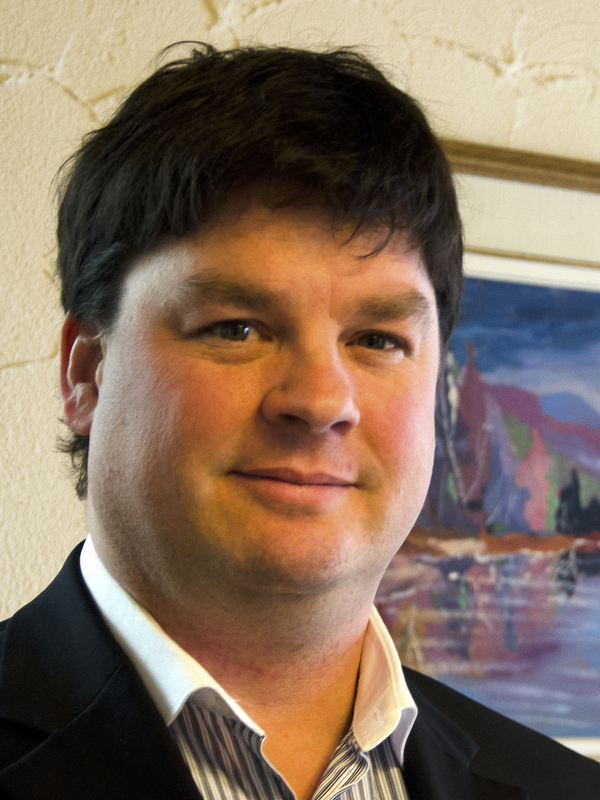 Tim Leonard, a notary in Sherbrooke. He will speak and answer questions about legal issues pertaining to the end of life, such as do-not-resuscitate orders, incapacity mandates, and others. “Green Burials and Home & Family-centred Funerals” is the title of a talk by funeral director Stephan Elkas of the Steve L. Elkas Funeral Home in Sherbrooke. He will focus on environmentally friendly, alternative burial options that are locally available. This includes a new method, Alkaline hydrolysis (also called biocremation, aquamation and/or resomation). Elkas will be speaking on May 11 in Magog, and on May 13 in North Hatley. 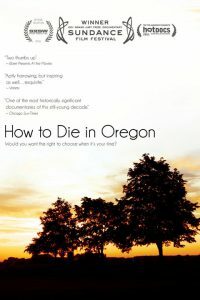 “How to Die in Oregon” is an award-winning documentary film about persons having recourse to the “assisted dying” law in Oregon. Various viewpoints and experiences are explored in the film. After viewing it, participants will learn how the law in Oregon compares to Quebec’s assisted dying law, and the potential Canadian law. This session is planned for May 18 in Magog, and May 20 in North Hatley. “Bequests: How to give to your favourite charity AND leave all your money to your children” is the topic of the final session, on May 25 in Magog, and May 27 in North Hatley. It will be led by Alain Lévesque, financial advisor, who will explain how to maximize giving to your favourite charity without reducing your estate too much. 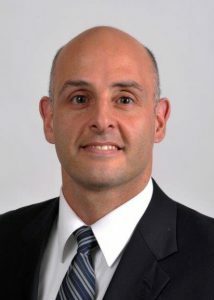 He is expert at simplifying financial concepts, and will offer participants his most recent booklet on bequests. In Magog, all the workshops are at the Memphremagog Community Learning Centre, Princess Elizabeth School, 120 Bellevue. Participants are asked to enter by Door 3 from the parking lot, and to press the CLC Room buzzer. Please pre-register by phoning 819-238-1254 or 819-842-4146, or emailing info@uuestrie.ca. In North Hatley, all the workshops are at UUEstrie, 201 Main Street, in Stoddard Hall (lower level). Please pre-register by phoning 819-842-4146 or emailing info@uuestrie.ca. UUEstrie is the home base of the Unitarian Universalist Community in North Hatley. For more information, see www.uuestrie.ca, the Facebook page UU Estrie, or call 819-842-4146. We are grateful to the Canadian Unitarian Council for their support for this series, through the Sharing Our Faith grant. Maybe it’s the alliteration, or maybe it’s that soup is such a comfort food worldwide, but “Soup for Syria” has become a movement across Canada. From the Salvation Army to the Soup Sisters, from Calgary to Ottawa, groups are putting on soup-a-thons for the support of Syrian refugees. Sometimes they cook up more than 5,000 servings at a time. On a much smaller scale, in a much smaller place, UUEstrie is planning a Soup for Syria fundraiser in North Hatley. It’s on Sunday, April 24, at 12:30 p.m. Volunteers are making several different sorts of soup, along with bread and desserts. For a donation of $5, all are welcome to come and have a hearty bowl. “All proceeds will go to help local efforts to bring refugees home to the Townships to live in safety, free from fear,” said Rev. Carole Martignacco, UUEstrie’s pastor. UUEstrie is the Unitarian Universalist Community at 201 Main Street in North Hatley. The Soup for Syria lunch will be in the Stoddard Hall, on the lower level. It follows the Earth Day service at 10:30 a.m. All are welcome. For information, visit www.uuestrie.ca or the Facebook page UU Estrie, or call 819-842-4146. The poet John Donne penned those famous lines in a meditation in December 1623. They speak of the interconnectedness of all beings, an idea that has more force today than ever before. As the effects of global warming slam into us, we are finally becoming aware that our “continent” earth is in danger. And so are we all. For the first time, three years ago our earth’s atmosphere measured 400 parts per million of carbon dioxide, and it still does today, on average. Carbon dioxide is the main pollutant that causes global warming. Before the industrial age, carbon dioxide levels averaged 275 ppm. Researchers have calculated that the safe level of carbon dioxide in the atmosphere is 350 ppm or less. They say more than that “is not compatible with life on earth.” That’s a bell tolling for all of us. Carbon dioxide stays in the atmosphere 100 years. The solution is a slow one. It involves reducing our reliance on fossil fuels now. 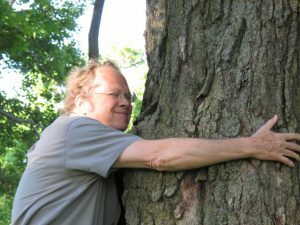 To raise awareness of our collective predicament and the need for action, UUEstrie is marking Earth Day on Friday, April 22, at 11 a.m., by ringing the church bell 400 times. 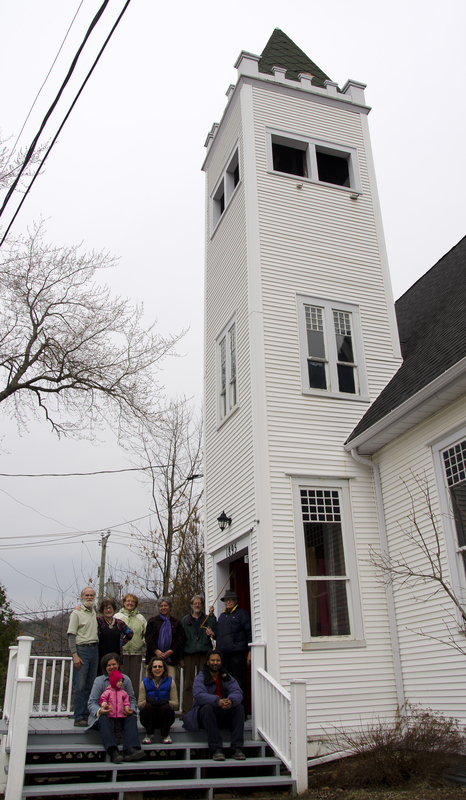 Persons who would like to participate in this annual ritual are welcome to gather at UUEstrie’s bell tower on the upper level of the church, on Gagnon Street in North Hatley, just off 201 Main Street. Come a few minutes early for coffee and to get organized for the ringing. Earth Day is also the topic for the Sunday service, April 24, at 10:30 a.m., at UUEstrie, the Unitarian Universalist Community in North Hatley. For more information, see www.uuestrie.ca, the Facebook page UU Estrie, or call 819-842-4146. How seldom do we pause to get inside the skin of our natural surroundings, and let nature into our hearts! Oh, the power of a tree to still the mind. And the power of a poem to awaken it in a new realm. We are delighted to offer readings by two poets on the theme of Nature, this February and March 2016. Both readings are at UUEstrie, 201 Main St., North Hatley, in the lower level, Stoddard Hall. They are in English. Admission is open – all are welcome. Refreshments follow. Both Angela and Steve are published authors, with long and distinguished paths in the world of poetry. We are honoured by their gifts to our community. We gratefully acknowledge the financial assistance of the Canada Council for the Arts, the Roadmap for Canada’s Official Languages 2013-2018 Education, Immigration, Communities, and the Quebec Writers’ Federation, which offered honoraria to the two writers.